It's that time of year again, when people start thinking about shopping for the holiday season. I'm famous for having all my shopping completed early, and this year is no exception to that. In the spirit of Christmas, I'm working with a number of companies who have joined in my Holiday Gift Guide 2015... and this is my sixth post! Prior to having my little bundle of joy, I was contacting a number of companies for baby items to review. Anyone who has children, you know that baby products can surely add up quickly if you're buying most of them. Even though I had a baby shower, there was still quite a lot of things that my daughter needed. I was fortunate to get to work with some awesome companies, and I truly enjoyed testing out a product from the company Swaddle Designs. The companies first customer was a hospital that purchased 4,000 blankets. They understood how important swaddling and the educational value of Lynette's blanket. It's important because it helps babies transition from the womb to the world, reduces the incidence of SIDS, helps babies sleep better and longer, and decreases waking up due to the startle of reflex. The blanket is a confidence builder for new parents... I've been using mine now for almost four months now. 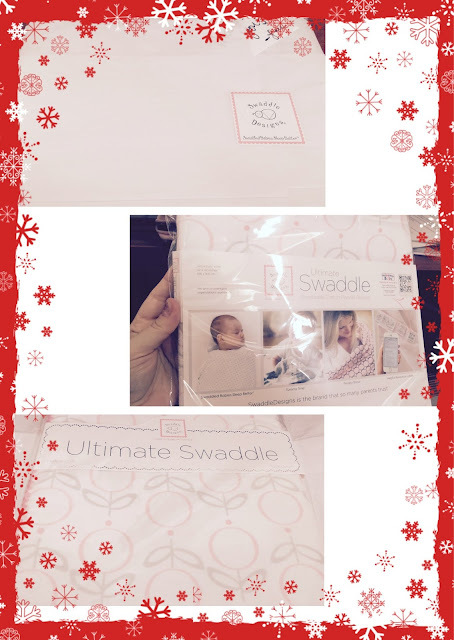 I was sent an Ultimate Swaddle in the Lolli Fleur design. It came nicely wrapped in white tissue paper, held closed with a logo sticker. Once I opened that, I was greeted with a simple, yet gorgeous plastic wrapped blanket. The actual design of the blanket shined through the plastic, and there was a cardboard strip that wrapped around and attached to instructions and the description of the product. The blanket is super soft to the touch, breathable, and lightweight. It's made of 100% cotton flannel, and measures 42 x 42 inches (106 x 106 cm). I have been using this blanket for about four months now, and it's received plenty of love. I've washed it numerous times, and it still looks like the first day I got it. Even though this is flannel, it's lightweight enough that you'd be able to use this in the summer. My daughter was born in the middle of summer, and this became one of her favorites. With it's pretty design, excellent quality, and decent pricing... this makes for an amazing gift. Have enough baby blankets already? I find that hard to believe... you can never have too many since they get spit up on often. There's plenty of other items that would make for awesome gifts as well! The Benefits of Swaddling *Taken from their website. "Infants sleep with fewer awakenings when swaddled, and swaddling may help sleeping infants remain on their backs, say researchers at Washington University School of Medicine in St. Louis." "Now we have scientific evidence to support the age old belief that swaddled infants sleep better than unswaddled infants," Gerard said. "It helps babies stay asleep and so may help parents keep babies sleeping in the safer back position." "Epidemiologic studies suggest that swaddled and supine (back) sleeping infants have a significantly lower risk for SIDS (Sudden Infant Death) than unswaddled supine sleeping infants." 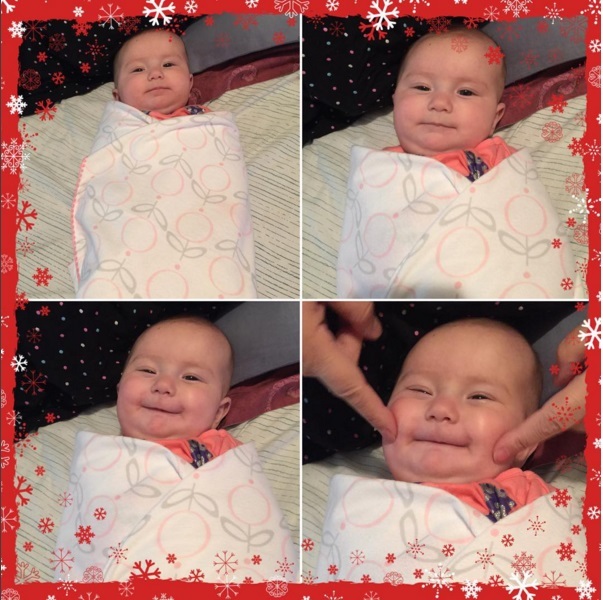 "Efficient wrapping is magically soothing to most babies. Wrapping too loose may have the opposite effect. Your aim is to encase the baby completely so that her limbs are gently held in their preferred position and so that, when she moves, she moves as one complete bundle." "If your baby startles easily, his chin quivers a lot, and his arms and legs seem trembly, swaddle your newborn in a blanket, which contains and helps to organize these jerky muscle movements." 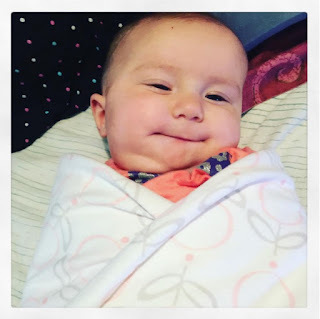 "The frequency of startles was decreased with swaddling during QS (Quiet Sleep) and REM (Rapid Eye Movement) sleep, and the frequency of behavioral arousals was decreased with swaddling during QS sleep. The duration of REM sleep almost doubled with swaddling." "The long term effect of longer REM sleep duration in swaddled infants is unclear but may be beneficial. It has been suggested that REM sleep directs early brain maturation through control of neural activity." "New babies need twice as much REM (Rapid Eye Movement) sleep as adults. That kind of sleep is thought to play a crucial part in brain development." 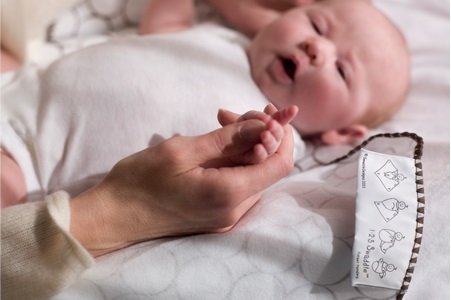 "Swaddling is the cornerstone of calming" and "It’s time for swaddling to make a comeback." "Swaddling is soothing to baby because it simulates the feeling of being in the womb. She feels warm, secure and comforted," explained Laura Alexander, a maternal-child health nurse and parent educator at California Pacific Medical Center in San Francisco." 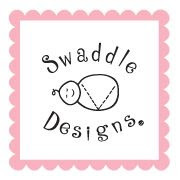 Thanks to Swaddle Designs one lucky reader has a chance to win an Ultimate Swaddle Blanket color of choice. To qualify you must be 18+, and be a resident of US/CA.